Sweet almond oil has commonly been known as a carrier oil for essential oils for decades, but can also be used alone as a moisturizer for hair. Due to its natural compounds, such as vitamins B, C, and E, and protein, fatty acids, and essential minerals, it can also provide healing benefits to certain hair conditions such as thinning hair and hair loss. Sweet almond oil has a pleasantly sweet flavour that many people favour in their natural cosmetics and skin care. There are many reasons why a person would choose to use sweet almond oil over any store-bought product. It’s safe for use around the eyes or face, and can be made into many hair mask recipes. 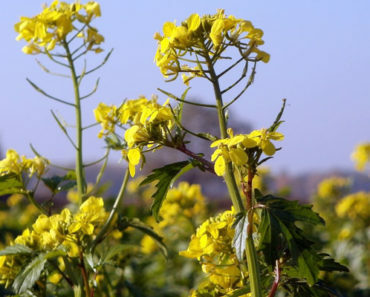 It can be used in replacement of hair conditioners and store-bought oil treatments. There are many reasons why sweet almond oil works better than any type of natural oil, and it should never be mistaken for bitter almond oil which is actually an essential oil. Once you decide to try a natural hair remedy you’ll discover there are dozens of choices of natural oils on the market today. It can be difficult sifting through the choices. Should you choose castor oil, essential oils, jojoba oil, coconut oil, or olive oil? Many people choose sweet almond oil, as it has a light silky texture that penetrates skin, hair, and hair follicles. Smell and taste can play a factor in what type of oil you choose. Sweet almond oil has a pleasantly sweet taste, unlike some other oils on the market which can taste or smell unpleasant. Some of the other oils have a heavy texture, such as coconut or castor oils, while sweet almond oil has a light texture. You may also notice how there is sweet almond oil and bitter almond oil offered in the stores. You want to be careful which you choose, as they are both different. Sweet almond oil is derived from the almonds that we eat from the sweet almond tree—prunus dulcis, var. amygdalus, and are perfectly safe. The sweet almond tree grows with white flowers while the bitter almond tree grows with pink flowers. There is some controversy over bitter almond oil which comes from the bitter almonds of the bitter almond tree—prunus dulcis, var. amara. The nuts contain a high amount of cyanide. 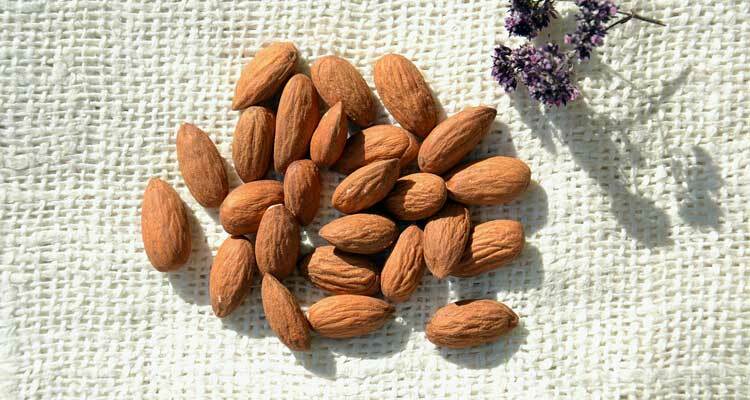 In the past, people used bitter almond oil to flavour almond syrup and amaretti in minute amounts, not realizing it contained cyanide. However, during modern processing today, this cyanide is removed, to provide a 100% safe product for food or cosmetic use. Sweet almond oil can be safely eaten as food. It’s often made into macaroons, marzipan, nougat, and almond butter. Many people who are lactose intolerant enjoy almond milk. Almond flour is suitable for people who need to eat gluten-free. 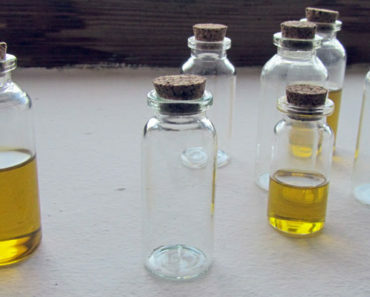 The differences between the two oils are due to sweet almond oil being a carrier oil that is beneficial to hair and skin, but bitter almond oil is an essential oil. Bitter almond oil has few benefits to the hair, and is often used simply for its almond smell. It’s up to you if you wish to scent your sweet almond oil hair masks with it, but you can at least be confident that purchasing a good brand of almond oil will be safe and effective for whatever purpose you choose. Sweet almond oil contains wonderful lubricating properties that can smooth out dry or sensitive skin, including the scalp. Here are just a few of the benefits to help you decide whether it’s right for you. Use as a hot oil treatment. The oil will provide moisturizing properties so your hair won’t be as dry throughout the day. You can use this oil in replacement of those small tubes of hot oil hair treatment products that you can buy in the stores, and which are prohibitively expensive. Use for styling hair. If your hair is frizzy or unkempt you can use sweet almond oil instead of hairspray or hair gels to help keep it in place. Just use a dab of the oil. You’ll be applying a natural product to your hair, rather than questionable synthetic chemicals. Massage oil. 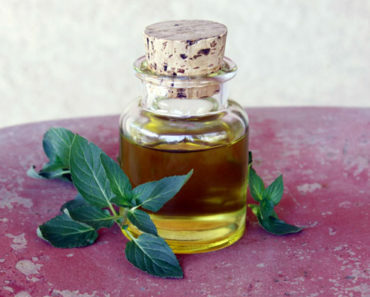 Use the oil as a massage oil for your scalp to get your circulation going, which will encourage healthy hair growth. Sweet almond oil is also useful for specific hair conditions that many people suffer from. Here are 3 common hair and scalp conditions that sweet almond oil can fix. Encourages hair growth. Sweet almond oil can provide nutrients to your hair follicles to encourage faster and thicker hair growth. Hair loss is often caused by a deficiency of zinc, calcium, and magnesium. Sweet almond oil is rich in these minerals and can directly provide them to the hair follicles in order to encourage growth. Cures dandruff. Sweet almond oil can help control the production of fungus on your scalp which causes dandruff—itchy white flakes. Cure scalp acne. Even after people can get acne to clear from their faces, they may still suffer acne on their scalps. Sweet almond oil can assist in killing the bacteria that cause acne. Whether you’re using sweet almond oil to soften and tame your hair, or using it to fix your thin, and balding hairline it’s simple to use. Follow these simple steps every day and soon you’ll experience a healthier growth of hair. Do your treatment once every night. Warm one tablespoon of sweet almond oil. Massage it into your scalp thoroughly. If you’re also using it for its moisturizing benefits, smooth the oil down the strands of your hair. Rub the oil in until it’s absorbed. Wrap your hair with a light clean towel. Wash and style your hair normally in the morning. How Long Does It Take for Sweet Almond Oil to Work? Depending on the purpose of the treatment will answer the question of how long it takes for sweet almond oil to work. If you’re simply using it for its moisturizing properties, it will start working immediately after application to hair and shampooing. If you’re using sweet almond oil to cure the thinness of your hair or to decrease hair loss, you should note that the average person grows their hair at a rate of one to two centimetres per month. It’s going to take at least a couple of weeks to start noticing new hair growth, and about a month to notice hair becoming thicker and fuller. To grow out a short hairstyle, it will take five or six months of time. You’ll need to give your hair follicles time to repair and restore themselves, but it will eventually be worth it. Instead of buying those little tubes of hot oil hair treatment packs from the store that contain questionable ingredients, you can make your own softening hair mask in the comfort of your own home. A sweet almond oil mask has the dual benefits of softening your hair, and promoting hair growth. This method will assist in smoothing hair, mending split ends, and soothing your scalp. Collect together the following ingredients on this list to get started. 2 tablespoons pure sweet almond oil. 2 drops tea tree oil. Shampoo—Choose a natural brand with few ingredients. Follow these steps to create your mask. Measure out all ingredients and pour them into the bowl. Stir thoroughly with the spoon. Next, do these steps to apply your almond mask to your hair. Pour some of the oil into the palms of your hands. Rub palms together to get the oil warmed up. Massage the oil throughout your scalp. Add more oil to your hands and use it to spread throughout all of the strands of your hair. Cover with a warm towel from the dryer. Sit and relax for twenty minutes. Wash your hair with a minimum of shampoo. Avoid using conditioner as you already have conditioned it with the mask. Towel or air dry and style normally. Avoid using hairspray or gels. Just like with any type of cosmetic or beauty product, you may need to exercise some cautions during usage. Don’t overuse the sweet almond oil. This may cause you to shampoo twice, which defeats the purpose. Over-shampooing can also strip your scalp of its natural oils. Test a few drops of sweet almond oil on the inside of your wrist before using to ensure that you’re not allergic to it. If you get a hive, welt, or redness, discontinue use. Sweet almond oil is safe around eyes and month, so don’t worry if any gets near, simply wipe off with a damp facecloth. Store your sweet almond oil bottle in a dark cupboard in the kitchen, away from the any warm appliance. Keep it in the back so it doesn’t tip over and break or spill. Avoid using your fingertips directly on the bottle’s spout, to avoid introducing contaminants to inside the oil. Besides its moisturizing benefits and hair growth benefits, sweet almond oil can be used for many different skincare needs. Best of all, you only need to purchase one bottle. Now you won’t have a cluttered bathroom full of dozens of hair and skincare products that don’t work all that well. Massage into dry cuticles to have well-manicured nails. Use the oil on your dry, cracked feet. Use sweet almond oil to soothe skin conditions such as psoriasis, eczema, and contact dermatitis. 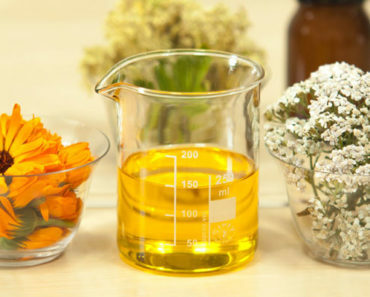 The oil’s beneficial properties will assist in decreasing inflammation, and encourage healing. Use it lightly around the eyes to smooth crow’s feet. Use it around eyes to eliminate dark circles. Where Can I Purchase Sweet Almond Oil? It only takes one bottle of sweet almond oil for all your beauty and haircare needs. Of course you may wish to buy two bottles as you’ll soon discover many more uses of the beneficial oil for your body. There are many different locations where you can purchase sweet almond oil. Here are just a few. Just One More Reason to Use Sweet Almond Oil: The Environment! It’s important to think of the environment, rather than purchase multiple products that come in plastic containers. Manufacturing glass is much safer and less toxic for the environment than plastic is, and only one large glass bottle for your one beauty care need—sweet almond oil—is required, rather than dozens of plastic containers for each individual cream, lotion or conditioner that you need. Sweet almond oil is affordable, and you’ll discover that the costs of your hair care masks and skin treatments will be pennies each day. One bottle will last you much longer than if you purchased separate lotions and conditioners for each part of your body, and sweet almond oil is affordable when you consider the savings of not having to purchase several products for your bathroom medicine cabinet. Once you begin to see the benefits of sweet almond oil you’ll want to try it for all your skin and hair care needs. Soon you’ll be enjoying compliments from friends and family on your hair, even though it was a minimal effort!